This is a hybrid of unknown origins imported from the U.K. whose parents are possibly greggii and chamaedryoides. Sometimes it is known as chamaedryoides in the U.K. It grows to a maximum of 80cm with bright blue flowers in warm weather. The small foliage is evergreen and frost and drought tolerant. Best planted in sun. The thickest old stems could be cut to the base around xmas. Cuttings can be grown or it generally sets seed. 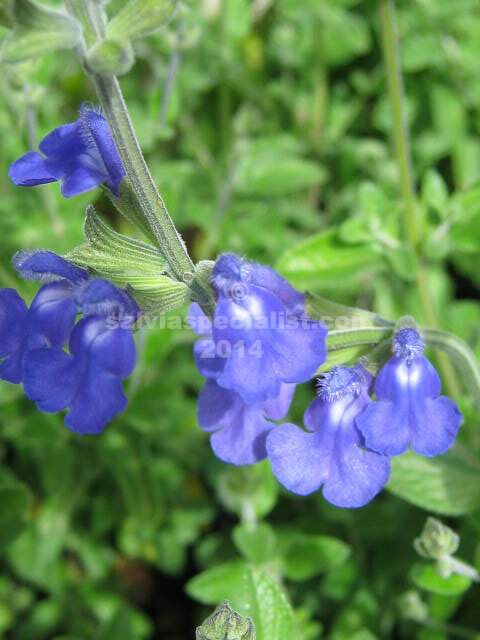 The nearest salvia is chamaedryoides one of which may be available.